The Academic Committee is comprised of the president and a team of professors and academic consultants. The Committee works together to guide the quality and delivery of the Asian Future Leaders Scholarship Program, assist with developing scholarship criteria and eligibility requirements, review candidates for scholarships, and evaluate results. Professor Katsuichi UCHIDA is Senior Advisor of Waseda University. Before assuming the current position, he served as Vice President for International Affairs from 2006 to 2014. He holds a B.A. in Law from Waseda’s School of Law, and later earned an M.A. and completed postgraduate study in the Graduate School of Law. He became professor of Law in 1984, and he was subsequently named to be the founding Dean of Waseda’s School of International Liberal Studies in 2004, an interdisciplinary liberal arts program that has inspired similar undertakings throughout Asia. His research field is Japanese Civil Law, he has published many articles and books on Japanese Civil Law, and was elected as a member of the Japan Science Council (Nihon Gakujutsu Kaigi). 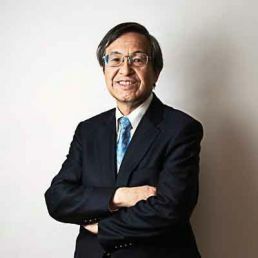 Professor Uchida is also an acknowledged expert in international education and served as President of the Asia Pacific Association for International Education from 2014 to 2016. He also served as President of the US-Japan Research Institute in Washington, DC, a joint undertaking by nine of Japan’s top universities to dispatch policy related researchers to the U.S. for 8 years. Dr Angelina Yuen is Honorary Professor in Department of Applied Social Sciences of The Hong Kong Polytechnic University (PolyU). She served as PolyU Vice President for eight years until April 2018, overseeing institutional advancement and partnership, and then student and global affairs. Dr Yuen is Honorary Visiting Professor of a number of universities in the Chinese mainland, including Peking University, Sichuan University, China Women’s University, Yunnan University, Xiamen University and Central China Normal University. She is also Honorary Professor of Queensland University in Australia. Dr Yuen has been member of the University Grants Committee in Hong Kong since 2014, and was appointed Justice of the Peace and awarded the Bronze Bauhinia Star by the Hong Kong government. She also serves as advisor to and board member of a number of government organizations and foundations. In Hong Kong, she serves on the board of Keswick Foundation, Hong Kong Institute for Public Administration and Bai Xian Asia Institute, and is Hon. President of the Hong Kong Social Workers Association. In the Chinese mainland, she is Executive Committee member of the All-China Federation of Women, Advisor to the China Social Work Association and China Association of Social Work Education, Co-Director of the Peking University – The Hong Kong Polytechnic University China Social Work Research Centre, and Advisor to Beijing Municipal Government in overseas talent development, among other appointments. Dr Yuen has played a key role in the development of the social work profession in the Chinese Mainland and internationally. She was instrumental in developing the first Master in Social Work Programme in the Chinese Mainland in 1980s, co-organized by PolyU and Peking University. She was President of the International Association of Schools of Social Work (IASSW) from 2008 to 2012, and she continues to be actively engaged in capacity building programmes for social workers in developing countries.